Unione Generale del Lavoro (General Labour Union, acronym UGL) is an Italian Trade Union, established in 1950. At enterprise level, UGL develops Trade Union action in order to defend employees’ rights. It debates and signs labor collective agreements, at enterprise, local and national level. At political level, UGL representatives seek to influence social legislation and policies through consultation processes with the Public Authorities as well as the other Social Partners. Ugl is part of Italian and European organizations which represent social partners, as CNEL and EESC. The fundamental achievement of the union is to recognize the centrality and dignity of the person in the society and at the workplace. Currently, UGL’s IT infrastructure consists of eight physical servers, several VMware VMs, and some intranet sites. The organization’s VMware VMs store information such as presence detection services, Microsoft Active Directory, a Wi-Fi controller, an antivirus controller, net services, and web services. Since the company decided to slowly move towards the virtualization of their environment, data protection became an important issue, especially in terms of the need to find a robust solution for protecting the organization’s critical data. For UGL, it is critical to back up their data consistently and reliably; however, they were also looking to minimize the risk of data loss and decrease the length of downtime with the help of disaster recovery procedures built on VM replication. Before virtualizing their environment, UGL protected their data by saving it on a NAS via a simple software application. The software application was slow, difficult to use, and ultimately unreliable. “With our previous software, we always had the feeling of not being totally ready if a serious hardware/software problem were to hit our infrastructure, as we did not have any disaster recovery procedures in place. Once we virtualized part of our infrastructure, we knew that we had to find a reliable VM backup solution that was designed specifically for protecting virtualized environments. The solution had to be fast, but above all, reliable and simple to use. Moreover, the cost of the license, as well as the hardware on which the product had to be run, was a determining factor for us in the choice of the product,” says Luca Vena, IT Manager and UGL’s Head Office. 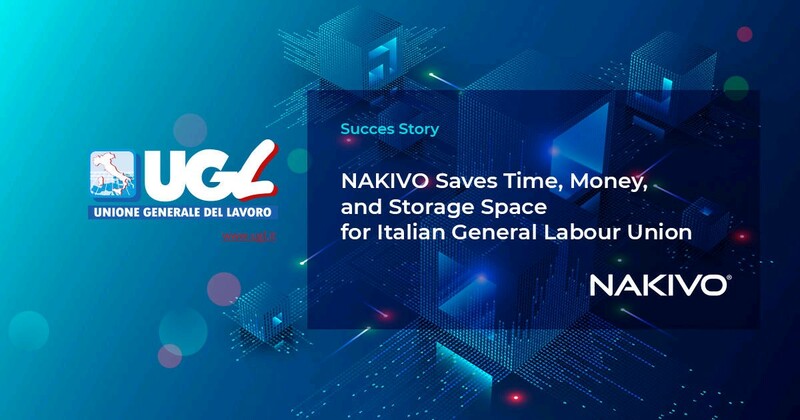 UGL selected NAKIVO Backup & Replication as their preferred VM backup solution based on the fact that the product offered the organization’s desired functionality, ease-of-use, and affordability. Moreover, UGL recently purchased a new QNAP NAS, thus allowing NAKIVO Backup & Replication to be installed on a box, without the need to purchase any additional or specific hardware. The experience with installing and configuring NAKIVO Backup & Replication on a QNAP NAS was a breeze; only one minute was needed to install the application, and after just three minutes the first backup job was ready to be run. 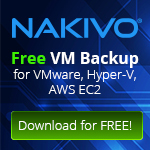 “The web interface of NAKIVO Backup & Replication is extremely intuitive. All of the tests that we carried out during our trial period were excellent, so it was a no brainer for us. Integration with our QNAP NAS helped us save time, storage space, and costs, while building our trust NAKIVO Backup & Replication even more,” says Luca. Since NAKIVO Backup & Replication was specifically designed for virtualized environments, UGL appreciates that the product supports VMware natively. Furthermore, the product leads to a simplified way of configuring as well as scheduling VM backup and replication jobs. 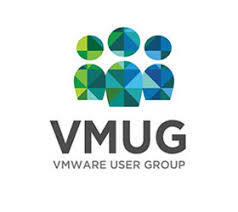 VM backup allows UGL to protect their VMware VMs with forever-incremental backup, which enables that only the changed data is copied to the backup repository, resulting in much faster backups. On the other hand, VM replication allows UGL to protect business critical data with disaster recovery procedures that are built on VM replication. This allows the creation of an exact copy of a source VM, as well as the failing over from the source VM to a VM replica in a case of disaster. “Currently, a full VM backup takes about an hour, while a VM replication takes approximately two hours. Forever-incremental backups are much faster, and usually take just a few minutes. Since NAKIVO Backup & Replication offers forever-incremental backup, we are currently thinking about increasing the virtual part of our infrastructure and adding more virtual machines. In terms of VM replication, we were not even considering this functionality at first because we only wanted VM backup. However, thanks to NAKIVO Backup & Replication along with the product’s simplicity, we have decided to implement VM replication, which has proved greatly success. This feature would provide extra assurance to us in the event of a failure,” says Luca. NAKIVO Backup & Replication installed on a QNAP NAS provides UGL with full and forever-incremental backup as well as VM replication functionality. Due to the product’s integration with a QNAP NAS, UGL was able to save time, storage space, and costs. With VM backup, the organization was able to improve the reliability of their backups onsite, while VM replication allowed UGL to establish disaster recovery procedures built on VM replication. “Our previous product was free, but did not provide us with the ability to make full and forever-incremental backups. Furthermore, VM replication was just a dream. Once we purchased NAKIVO Backup & Replication, we definitely gained more functionality, better reliability, and above all, the security in knowing that everything works properly. In the near future, we are planning to virtualize our remaining physical servers in order to take advantage of the other functionality that NAKIVO Backup & Replication offers. 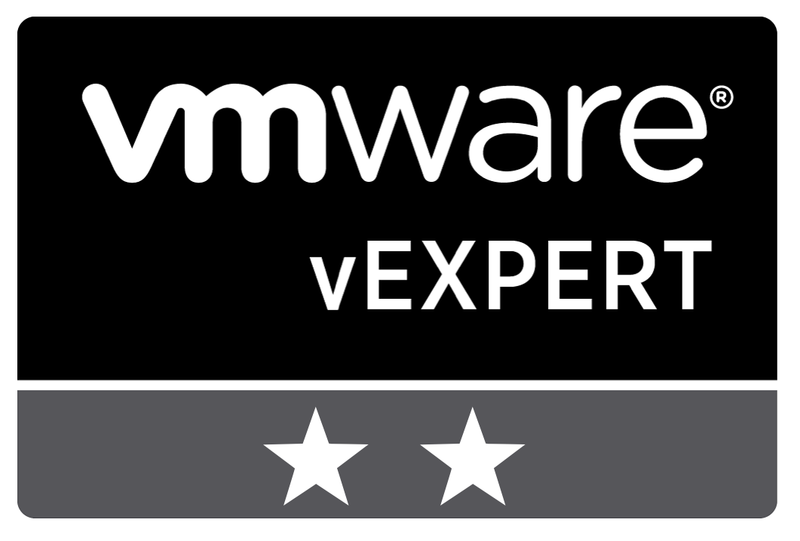 Thanks to daily VM backup and replication jobs, we now have a real disaster recovery solution,” explains Luca.